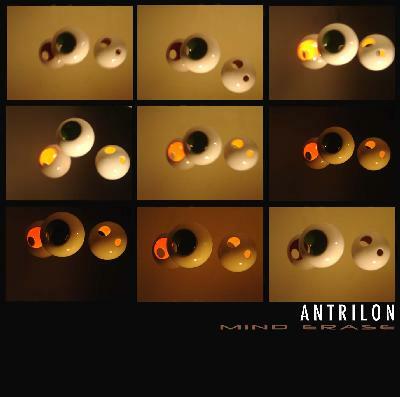 Antrilon is an all synthesizer music CD by Greg Kozlowski, the guitar player from Archectural Metaphor. The CD features 4 long tracks, with the last track Invasion Earth being split into 4 parts. This is old school electronica in the mode of classic 70’s Klaus Schultze or Manuel Göttsching. Only analog gear was used, including EML 200, Oberheim Xpander Modular Synth, ARP Solus,ARP Filter Modulator, Roland Juno 105, and some analog delay units recorded direct to a Fostex 4 track recorder. No midi, no samplers, no emulations, no modelling sythesizers. The CD begins with a very laid back track called Cathedral Cavern. Slow and drifting. Depths of Insanity is a lot like the very first Tangerine Dream album or Alien Planetscapes early stuff (all highly influenced by 60's pure electonic music stuff). Colliding Waves features some beautiful synth playing that reminds me a lot of Richard Wright and sounds like the ARP Solus. Invasion Earth is the last track that is split into 4 parts. It begins with a primitive beat with a lot of spacey effects and sounds flying by. Captured-Voices from Beyond begins with the modular synths and cool sequences and it slowly builds up with more layers and some sounds that really get twisted. Waiting is more of a drone like with some cool layers that move around in the soundscape. Mind Erase is 10 minutes long and ends the CD. It starts with some sounds to get your attention before evolving and what sounds like the EML takes over. When you get a CD like this you really need to be in the right mood to turn the lights off, light some candles, relax and just flow with the sound. If you don’t you won’t get into this CD. Greg has really thought about the sequence of the parts and there is a sort of story line running through the work (check out the web site for the story).